Stem cell assay refers to the procedure of measuring the potency of antineoplastic drugs, on the basis of their capability of retarding the growth of human tumor cells. The assay consists of qualitative or quantitative analysis or testing of affected tissues and tumors, wherein their toxicity, impurity, and other aspects are studied. With the growing number of successful stem cell therapy treatment cases, the global market for stem cell assays will gain substantial momentum. A number of research and development projects are lending a hand to the growth of the market. For instance, the University of Washington’s Institute for Stem Cell and Regenerative Medicine (ISCRM) has attempted to manipulate stem cells to heal eye, kidney, and heart injuries. A number of diseases such as Alzheimer’s, spinal cord injury, Parkinson’s, diabetes, stroke, retinal disease, cancer, rheumatoid arthritis, and neurological diseases can be successfully treated via stem cell therapy. Therefore, stem cell assays will exhibit growing demand. Another key development in the stem cell assay market is the development of innovative stem cell therapies. In April 2017, for instance, the first participant in an innovative clinical trial at the University of Wisconsin School of Medicine and Public Health was successfully treated with stem cell therapy. CardiAMP, the investigational therapy, has been designed to direct a large dose of the patient’s own bone-marrow cells to the point of cardiac injury, stimulating the natural healing response of the body. Newer areas of application in medicine are being explored constantly. Consequently, stem cell assays are likely to play a key role in the formulation of treatments of a number of diseases. The report analyzes the prevalent opportunities for the market’s growth and those that companies should capitalize in the near future to strengthen their position in the market. It presents insights into the growth drivers and lists down the major restraints. Additionally, the report gauges the effect of Porter’s five forces on the overall stem cell assay market. 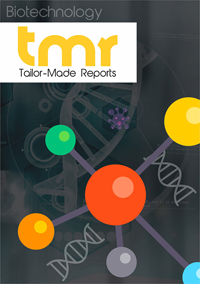 For the purpose of the study, the report segments the global stem cell assay market based on various parameters. For instance, in terms of assay type, the market can be segmented into isolation and purification, viability, cell identification, differentiation, proliferation, apoptosis, and function. By kit, the market can be bifurcated into human embryonic stem cell kits and adult stem cell kits. Based on instruments, flow cytometer, cell imaging systems, automated cell counter, and micro electrode arrays could be the key market segments. In terms of application, the market can be segmented into drug discovery and development, clinical research, and regenerative medicine and therapy. The growth witnessed across the aforementioned application segments will be influenced by the increasing incidence of chronic ailments which will translate into the rising demand for regenerative medicines. Finally, based on end users, research institutes and industry research constitute the key market segments. The report includes a detailed assessment of the various factors influencing the market’s expansion across its key segments. The ones holding the most lucrative prospects are analyzed, and the factors restraining its trajectory across key segments are also discussed at length. Regionally, the market is expected to witness heightened demand in the developed countries across Europe and North America. The increasing incidence of chronic ailments and the subsequently expanding patient population are the chief drivers of the stem cell assay market in North America. Besides this, the market is also expected to witness lucrative opportunities in Asia Pacific and Rest of the World. A major inclusion in the report is the detailed assessment of the market’s vendor landscape. For the purpose of the study the report therefore profiles some of the leading players having influence on the overall market dynamics. It also conducts SWOT analysis to study the strengths and weaknesses of the companies profiled and identify threats and opportunities that these enterprises are forecast to witness over the course of the report’s forecast period. Some of the most prominent enterprises operating in the global stem cell assay market are Bio-Rad Laboratories, Inc (U.S.), Thermo Fisher Scientific Inc. (U.S.), GE Healthcare (U.K.), Hemogenix Inc. (U.S.), Promega Corporation (U.S.), Bio-Techne Corporation (U.S.), Merck KGaA (Germany), STEMCELL Technologies Inc. (CA), Cell Biolabs, Inc. (U.S.), and Cellular Dynamics International, Inc. (U.S.).